The Obesity Epidemic May Reverse Americans' Gains In Longevity : Shots - Health News In the past 50 years, better medical care and healthier habits have greatly reduced the risk of dying young from heart disease. But the obesity epidemic threatens to reverse that happy trend. Most people alive today don't remember the days when many people in their 40s and 50s would simply drop dead of a heart attack. But 79-year-old John Kenneth "Ken" Carbaugh Jr. does. "When I was a kid a long time ago I remember a lot of people died from 'indigestion,' " he told Shots. "That's what they said it was, but that's not what it was. They were having heart attacks and they didn't even know it." Carbaugh has lived through a remarkable period of history. During his lifetime, cardiovascular disease dropped dramatically as a cause of death. It went from killing about half of all Americans back in the 1960s, to only about one-quarter today. Carbaugh has helped tell that success story himself. For the past 30 years he has volunteered in a study to track heart health in the United States. On the day we meet, he has driven in from his home on a country road in Washington County, Md., to Hagerstown, where he is getting a periodic exam. The low-slung building is an outpost of the Johns Hopkins Bloomberg School of Public Health. It's right next to Antietam Creek, about 10 miles upstream from the Civil War battlefield. Carbaugh will get a battery of tests, which will take five hours to complete. He's one of about 4,000 people here in Washington County recruited in the 1980s for this long-term study. The youngest is now 75. More than half are still alive. This is one of four counties nationwide that has been providing a very detailed look at heart health for a federally funded study called Atherosclerosis Risk in Communities (ARIC), according to Josef Coresh, an epidemiology professor and physician at the Hopkins Bloomberg School. Researchers in these representative counties — in Maryland, Minnesota, Mississippi and North Carolina — have been following about 16,000 volunteers since the late 1980s. "They've been kind enough to volunteer for examinations and phone calls twice a year," Coresh says. "That means they've contributed invaluable data that will stick around forever. So ARIC [and the Framingham Heart Study] have become national resources and treasures for research." The point of this study isn't to track the national trends in heart disease and stroke per se, but to understand on a very personal level what's behind them. The lesson from here and elsewhere is clear. "Of the decline in heart attacks, about half is due to a management of risk factors and half is due to improved medical care," Coresh says. People stopped smoking. They started taking drugs to control blood pressure and cholesterol. Surgeons reopened arteries, and hospitals built cardiac care units. 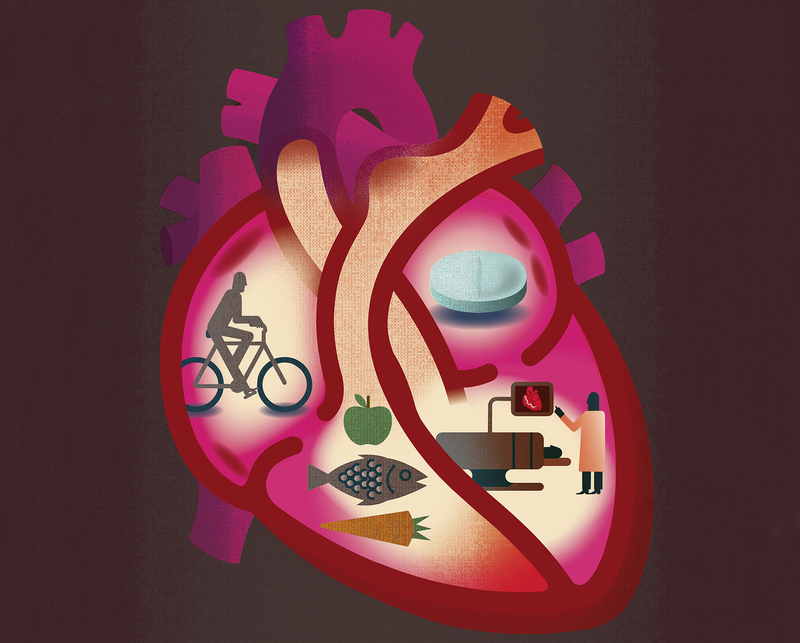 So why is the trend in improving heart health leveling out? That's partly because the easier steps have been taken. But there's another big reason. "The greater cause of the stagnation in cardiovascular death rates is that the obesity epidemic, which started in this country in about 1985, is finally coming home to roost," says Donald Lloyd-Jones, a physician and chair of the department of preventive medicine at Northwestern University. Obesity raises blood pressure, cholesterol levels and the risk of diabetes. 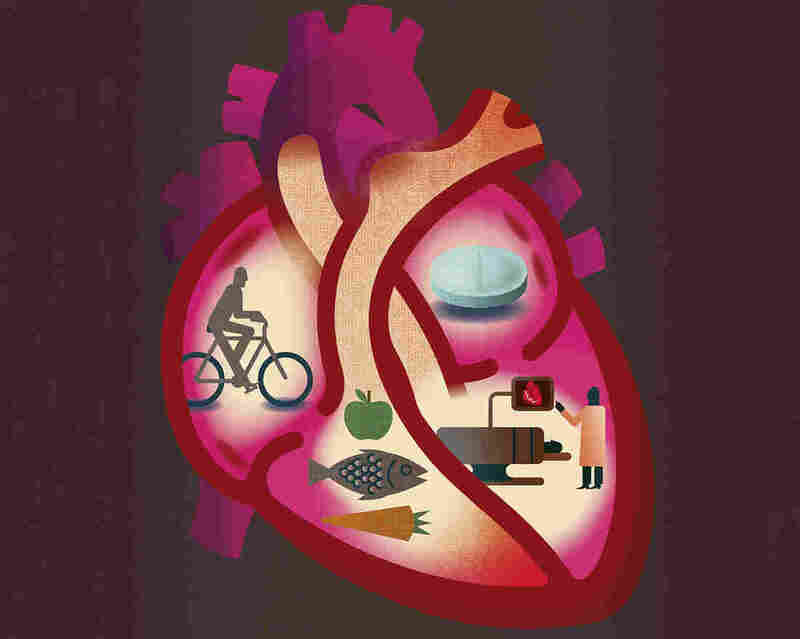 "All the things that put us at risk for heart disease and stroke get much, much worse," he says. And considering the burden of obesity in this country now, by 2030 heart disease could cost a whopping $800 billion a year, Lloyd-Jones says. That's equivalent to the stimulus package that Congress passed in 2008 to prevent a global financial disaster. "That was a hard lift for our political system," Lloyd-Jones says. "By 2030 the American Heart Association is projecting that we'll have to pass that bill every single year just to pay for cardiovascular diseases." This is not just a potential financial disaster. It could also be a blow to the expectation that our collective health will just keep getting better. That idea was first challenged when the former Soviet Union collapsed, according to David Jones, a medical historian and physician at Harvard University. When that happened, life expectancy there fell by five years. AIDS in sub-Saharan Africa led to an even worse decline. "Those two warning signs really burst the bubble that people had had about this expectation of inevitable progress," Jones says. "And people realized that the great gains we had made over the 20th century were potentially vulnerable if certain things went wrong." Obesity is a slow-moving epidemic, so it may not result in a rapid rise in deaths. And even with the burden of obesity, Jones says, it still might be possible to reduce heart disease rates further, by eliminating smoking and controlling blood pressure and cholesterol. So would that be purely good news? That depends. "The question of what we would die of in the absence of heart disease is one of those million-dollar questions, and one of these things that people have been puzzling about for a long time," Jones told Shots. That question is starting to come into focus at the medical building in Washington County. As the study group has grown older, the research has evolved to address their ongoing health challenges and to look at the risks that now loom for this generation. For example, hearing tests have been added to the list, as part of an effort to understand the next potential epidemic in this country: dementia. Memory loss can be hastened by failing hearing. It can be caused by degenerating neurons, as is the case in Alzheimer's, and it can also be triggered by what causes heart disease: clogged and hardened arteries. Coresh says some dementia is probably amenable to prevention if research projects like his can pin down the risk factors, "but it's going to need decades of prevention, so we probably need to have risk factors treated in middle age if we're going to prevent disease in older age." If medical science can indeed hold the line on heart disease, it would be disheartening if that simply meant people died of dementia instead. You can reach Richard Harris by email.